If it’s anything we’re willing to compromise in a New York apartment, views would be on the top of that list. A thousand bucks a month for a tiny studio in a great neighborhood with awesome food delivery options are dealmakers; a window overlooking a restaurant dumpster is negligible. Especially since it could be the first thing you could fix with the help of the Eye+ Window. 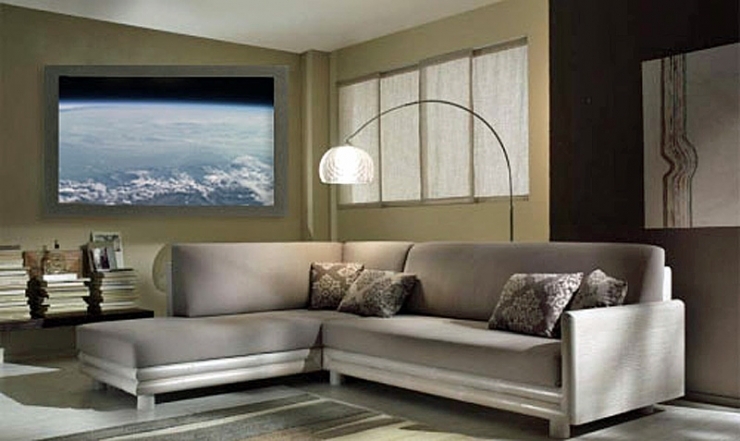 A product of an Italian design company, the Eye+ (or EyePlus – it’s stylized both ways) Window is a 46-inch LED HDTV that plays scenic videos of any view you desire: The Golden Gate Bridge, the Grand Canyon, Niagara Falls, a warm beach, outer space – you name it, you can have it. Beyond the glorified digital photo frame, the Eye+ also comes packed with sensors to track the viewer’s eye and location so the scenery displayed looks like it is actually outside of your window, allowing for added interactivity. “Eye+ uses an optical sensor to track the viewer’s eyes to change the zoom and the pan of the video in the monitor,” Salvo Giardina, Eye+’s project manager, tells us. The sensors include an infrared emitter, color camera, and depth sensor to accurately display the angles of the views. “Thanks to these sensors detecting the position of the face, Eye+ can change the viewing’s perspective, taking an incredible sense of realism.” Users can preload the TV with new scenes through a USB connection, and can change the view via a smartphone app if they get sick of seeing the same scenery months on end. The Eye+, equipped with wood framing, can be hung in portrait or landscape, and will work with European DVB-T/C broadcast tuners. Giardina says the multipurpose display will eventually become a crowdfunding project to bring Eye+ to market (it is unspecified whether the TV will work with U.S. tuners, but we hope interest here has the company considering it). At the moment, Giardina is still working out to nail down exact functions and features, which explains the barebones look on the official website. But take a look at the video below and consider the possibilities for converting your view of a cemetery into a bright, snowcapped mountains, or turning your child’s playroom into a imaginative space with a view to match. If the technology works as well as Eye+ promises, consider us excited.